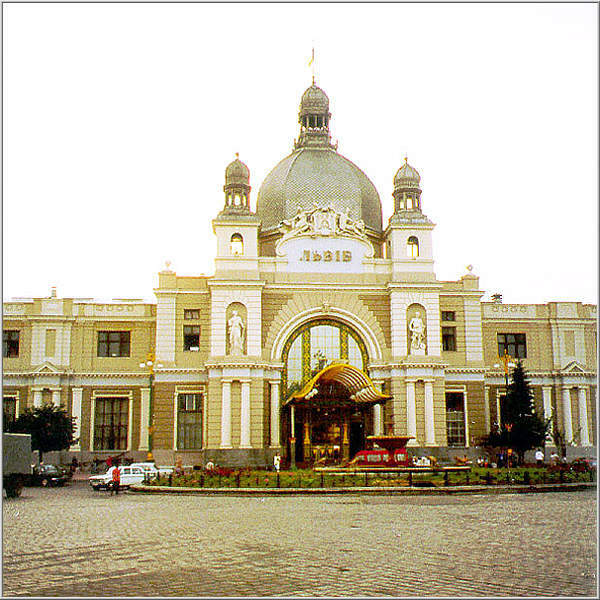 Official statistics state that the Lviv Railway Station handles 1.6 million passengers a year. Using this number as a benchmark it is possible to make a very rough guess at the number of people who have used the station during its long and eventful life. Over its one hundred and seven year history, the station has witnessed the comings and goings of more than 50 million visitors, citizens, passers through, passers-by and every other type of traveler imaginable. From Emperors to Kaisers to killers, the famous and infamous, a withering array of humanity has passed through or by the station. One of these included a man who was neither using the station as a point of arrival or departure. This man was one of the most infamous war criminals of the 20th century, his name forever synonymous with the phrase “banality of evil.” The phrase was famously used by the philosopher Hannah Arendt to describe Adolf Eichmann, one of the chief perpetrators of the Holocaust. What Arendt was saying when she used the term banal to define Eichmann was that he was an average, ordinary person rather than a psychopath or madman. His actions were the product of career ambition and stupidity. Part of his stupidity was on display at the trial as he relied on clichéd defenses to explain away his behavior. He was the living embodiment of the “just following orders” line of defense. He followed orders to the point of aiding and abetting in the murder of millions. The fact that Eichmann was so utterly ordinary made him seen even more chilling. The Eichmann trial in Jerusalem was a fascinating study in human psychology. It was during this trial that Eichmann also revealed what would seem to be a rather banal detail from his experiences during the war, a sighting he made of the train station at Lvov (during the trial Eichmann referred to Lviv by its Soviet/Russian name). This cold blooded, seemingly emotionless bureaucratic killer mentioned the train station in his testimony. It was the bizarre context in which he mentioned this at the trial which was not banal, but revealing. According to Eichmann, this unsettled him to the point that he drove all the way to Lvov with his mind clouded by the horrors he had just seen. The reader of these transcripts gets the idea that Eichmann was in a state of shock. Conversely, one cannot help but remember that it obviously did not rattle him enough to reconsider his role in the growing atrocities. 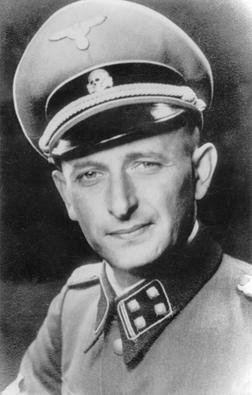 Eichmann had been and would continue to be a point man for the Nazi regime. He was an integral part of the movement from coerced emigration to deportation to extermination of the Jews. He could have stopped at any time, but did not. Eichmann was not just a fellow traveller in this murderous regime, he was also an instigator. He could have driven back to Germany and resigned, but instead he drove on to Lvov. His destination was not really Lvov, but somewhere much more hideous. It was just a pass through point, albeit a memorable one. “I got in and started driving (at Minsk) – I drove to Lvov. I had no orders to go to Lvov…even this I remember now but apparently the road passed through Lvov. Somehow I came to Lvov and saw the first encouraging picture, after the awful things I had seen there: This was the railway station building, which had been erected to mark the Sixtieth Anniversary of the reign of the Emperor Franz Josef. And seeing that I personally was overwhelmed with joy regarding this period of Franz Josef, possibly because I had heard an abundance of wonderful things in my parents’ home about this period, or about events that occurred during this period. My relatives on the side of my step-mother were, at this time, as you would say, of a high social standing…It was painted yellow. These were Eichmann’s memories of his arrival in Lvov. What he talked about before and after this bit of testimony was nothing less than horrific. The juxtaposition of the beautiful, art nouveau railway station between his description of the ghastly acts he witnessed and commiserated in makes the whole incident seem rather unreal. Eichmann recognized the beauty and elegance of the station. He felt the power of its grandeur, but never considered making a comparison between the empire that had built it and his own depraved Third Reich. Perhaps he lacked the capacity to understand the difference between civilization and depravity. How could Eichmann not distinguish between Nazi occupied Galicia and the Kingdom of Galicia ruled over by Emperor Franz Joseph for sixty-eight years largely peaceful years. 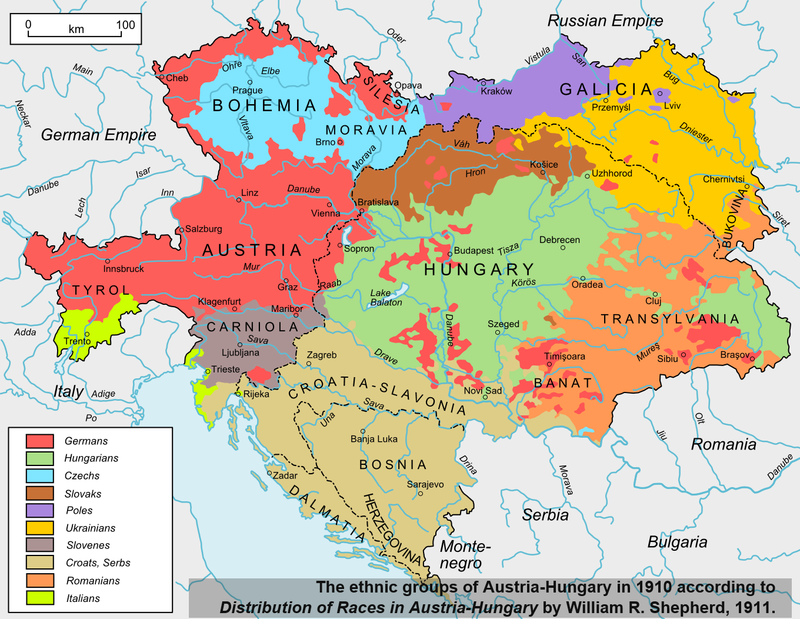 Austria-Hungary was an empire that offered unprecedented freedom to the Jews of Galicia. It co-opted their abilities and skills to the Empire’s advantage. The Jews had not brought the empire down they had lifted it up economically, culturally and militarily. Too many Jews in Austrian Galicia had been unable to escape poverty, but they never came close to being herded into extermination camps either. Eichmann’s reference to the railway station as “that first encouraging picture” was a tragic irony lost on him. It had been the design of an ethnic Pole, its platforms constructed by Czech masters. They were members of Slavic races which had been attacked by the Nazi regime without remorse. The designers of the station were representative of the brilliance and refinement these people could attain. They had created an architectural wonder. Meanwhile the Third Reich was creating devastation and destruction. The difference between the depravity of the Nazis and the civilization created by the Habsburgs – even if it had been fatally flawed – stared Eichmann right in the face, but he failed to comprehend this vast difference. It is telling that despite what Eichmann says he witnessed and felt, he never stopped anyone, most of all himself from carrying out the Final Solution. His actions would lead to the deaths of millions. After leaving Lvov and those fleeting memories of Austria-Hungary behind, Eichmann would travel back to Berlin. 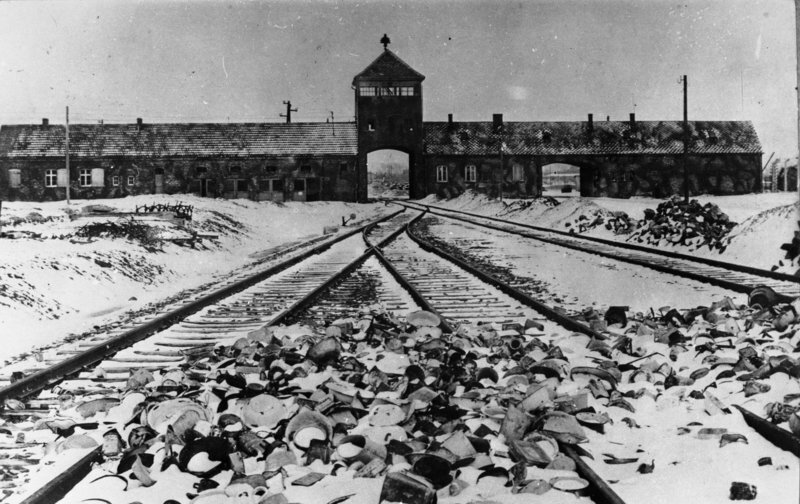 His next trip abroad was not long in coming, it was to Auschwitz. Harry Truman, the United States President from 1945 – 1953, once remarked that “the only thing new in the world is the history you do not know.” This is certainly appropriate when it comes to Eastern Europe. It is quite easy to find interesting historical topics from this overlooked region that readers of this blog might find fascinating. Part of this is due to the fact that Eastern Europe, other than Russia, is a backwater in the western consciousness. There is a lack of knowledge concerning the nations that were sealed off by the Iron Curtain. The region had been stereotyped at times as pseudo-civilized, corrupt and comparatively backward. Even before the rise of communism in Eastern Europe the area was viewed as primitive by westerners. The level of development historically has lagged behind both Central and Western Europe. It also seems that the area has been suffering from one long bout of extremism. This has been especially true over the past two centuries with rebellions, revolutions, wars and interethnic conflict that tended towards the lethal. Some have said that Eastern Europe has traditionally suffered from a deficit of democracy. It is more like a deficit of moderation. Historically, this has been exacerbated by the wide chasm between the haves and have not’s. Serfdom has a long tradition throughout the region and so does exalted nobility. Aristocrats exploited the masses, followed by the masses revolting and murdering the aristocrats, only then for the masses to murder one another. The region is defined in many respects by its unpredictability. The unpredictable nature of Eastern European history fascinates as much as it surprises. Case in point, the following incident I discovered for the first time while reading Simon Winder’s Danubia, “At the beginning of 1846 Krakow and western Galicia rose in revolt, and this was easily and ferociously crushed by the Habsburg armies…In the Enlightenment spirit with which the region had been acquired, they accused the aristocrats of disloyalty and of representing an old, discredited past. They urged the region’s peasants to stay loyal and to turn on their masters. The result was a grotesque one. The region’s principal town, Tarnow had its attractive main square transformed by the arrival of innumerable peasant carts heaped with murdered Polish aristocrats – at least a thousand were killed and their manor houses burned down. Somehow, it had become rumored that the best way for the peasants to show their loyalty was by bringing their corpses into the town. The Galician authorities were horrified but also pleased.” As horrific as this incident was, it also illuminates. By casting a spotlight on that most backward of Habsburg provinces, Galicia, with its violence and resistance, wretched inequalities and rigid class structure, was defined by a divided society. This reputation was reflected in the title given to the aforementioned incident, “Galician Slaughter.” In just two months, between 1,000 and 2,000 nobles were murdered and 470 manor houses put to the torch. There were worse cases of violent insurrection to come in Habsburg lands – the 1848 revolution two years later for example – but the method of murder made the result just as memorable as the outcome. In many cases, peasants severed the heads of nobles, than brought them to Tarnow. This act of primitiveness casts a frightening shadow over Galicia. A nightmare of history so to speak, occurring in the far reaches of an eastern netherworld. The sheer brutality of the incident overshadows the harsh treatment of the rural peasantry by the nobility for centuries on end. All of this has echoes in similar revolts in European history. Was this bit of history “the only thing new in the world” because it was unknown or overlooked? In my historical knowledge base it was new, but in European history- for example the French Revolution- it has many historical antecedents. Possibly the most fascinating aspect was what the incident says about the Imperial Habsburg administration. It demonstrates the cynical realpolitik they practiced to quell threats to the empire. This was not the first or last time they would find such a strategy useful. Just two years later the Habsburgs would do something similar to put down the greatest threat to their power that would arise during the 19th century. 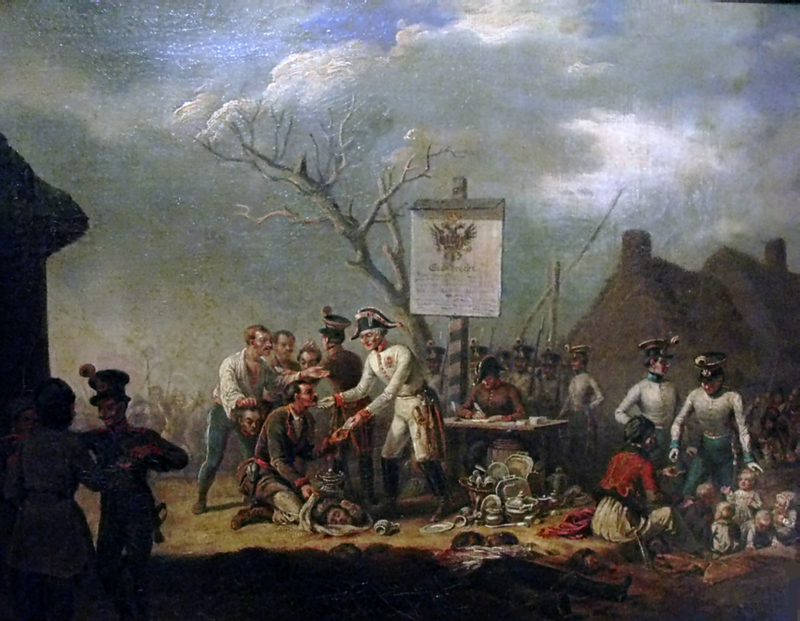 They whipped up resistance to the revolution of 1848-49 in Hungary by turning the disparate nationalities of the empire against the Hungarians. Once the Hungarian revolt was crushed, the Austrians reneged on promises they had made to Croatians, Serbs and Romanians among others. In the case of the Galician slaughter they used the peasants to help put down the nobles incipient revolt. Then in a chilling double cross, the Habsburgs turned on the peasants who had demanded greater freedoms in return for their murderous service. In the end, the peasants lost nearly as much as the nobility, the lone victor turned out to be the Austrian Habsburgs. It is interesting to note that despite such cynicism, the Habsburg’s have come off smelling like a rose in the public’s historical consciousness. This has much to do with the glittering beauty and culture of Vienna, that urban charm offensive that obscures the violent excesses fomented by the Habsburgs in their near abroad. For their supposed higher level of civilization, Habsburg authorities failed to make Galicia little more than a semi-developed frontier borderland. Whatever fit their political needs was the policy promulgated with little regard to the best interests of the inhabitants. For all the baroque wealth and haute bourgeoisie sophistication associated with the Habsburgs, the truth is they kept power using the most insidious of means when necessary. The “Galician Slaughter” is no longer history that you (or I) do not know. Once ignorance is stripped away by knowledge the consequences are profound. We find that Eastern Europe is not that much different from the rest of Europe. Its peoples have been manipulated by the great powers, sacrificed on the altar of duplicitous interests and prone to the excesses of imperialism. The “Galician Slaughter” is but one example of many that can be found all across the continent. It is not the only thing new in the world. It is just the history we have come to know for the first time. Deep within the dusty tomes of long forgotten history books, hidden nuggets of illuminating information have been known to arise. The old saying that the truth is stranger than fiction can have a much deeper meaning when a fresh light is cast on a once obscure past. 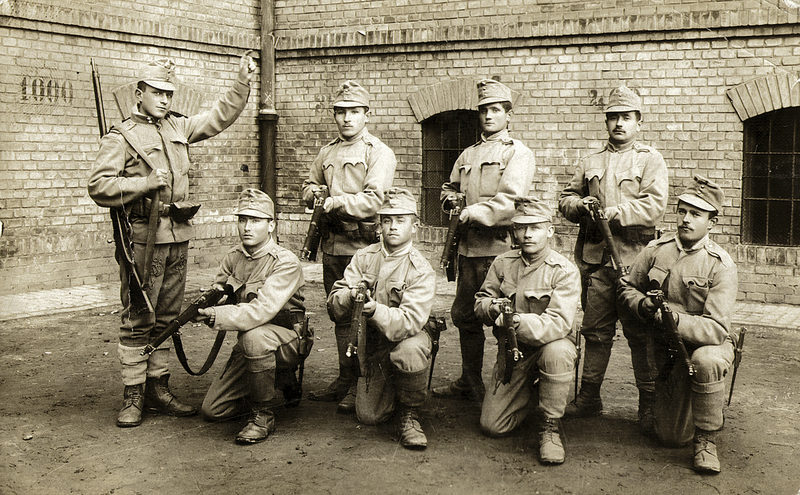 As we happen to be on the cusp of the 100th Anniversary of the First World War I have been doing some research on one of my favorite subjects, the Austro-Hungarian Military. Lately I have had the distinct pleasure of reading through Austria-Hungary’s Last War 1914 – 1918 prepared by the Austrian Federal Ministry of the Army and War Archive. This seven volume set was first published in 1930. Up until just a few years ago there was no English translation available. In 2010, a translation was finally completed by historian Stan Hanna. What an incredible achievement! The seven volumes run to several thousand pages in length. One hazards to guess how Hanna was able to do it all. With this translation English speaking military history buffs now have a window into nearly every facet of the Austro-Hungarian military apparatus during the Great War. A panoramic view is now available of the most multi-cultural empire in European history. Consider that it was almost exactly one hundred years ago when the Austria-Hungary went to war with a polyglot group of Central and Eastern Europeans who were tied together for better or worse by an old and faltering monarchy. The empire was home to 51 million people, consisting of nine different ethnic groups of at least a million or more in population. This demographic breakdown still has the power to amaze and confound. How such a multi-cultural, ethnic stew stayed together as long as it did, has become the subject of many debates. Even more astonishing is the fact that during World War One, the army fought on three separate fronts, suffered hundreds of thousands of casualties, numerous setbacks and yet still somehow held together until the very last months of the conflict. Seemingly against all logic, a motley collection of ethnicities carried on a war in some of the most undesirable circumstances and locales experienced by any army in the modern age. Yes there were mutinies at times, yes there were disgruntled soldiers, desertions and surrenders, yes the empire disintegrated at the end of the war. These facts are all indisputable. Yet the empire also lasted for nearly the entire duration of the war, despite a panoply of competing cultures and nationalities vying for freedom, respect and independence. Perhaps the best way of trying to understand the miracle of illogic that was the Austro-Hungarian Empire is to breakdown just one of the many fascinating statistics found in the seven volumes. 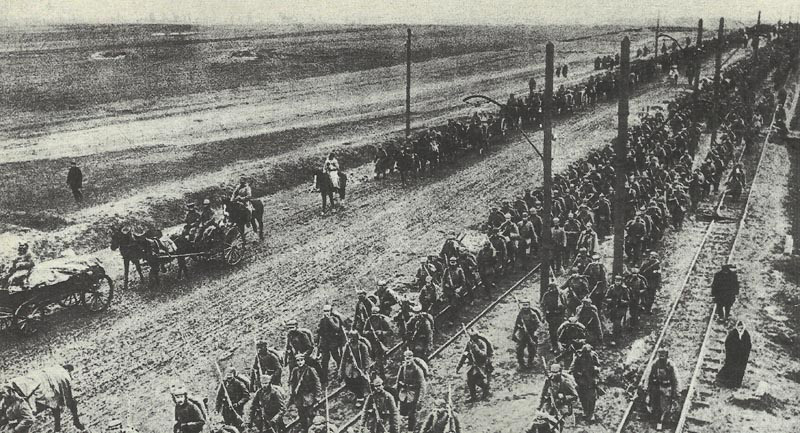 On page 42 of Austria-Hungary’s Last War, 1914 – 1918, Volume 1 is the following sentence: “Out of every 100 soldiers in the Austro-Hungarian Army there were 25 Germans, 23 Magyars, 13 Czechs, 9 Serbo-Croats, 8 Poles, 8 Ruthenes, 7 Romanians, 4 Slovaks, and 1 Italian.” This breakdown is quite compelling when viewed with hindsight. Today we know what became of the empire’s ethnic constituents. Start with the fact that all of the above ethnic groups were squeezed within the borders of a single governing entity. The pressure of that squeeze caused fissures and faults along ethnic lines. The cracks exposed new nations and states, some of which have stood the test of time and others that have long since been resigned to the dustbin of history. A look at what became of these peoples in the aftermath of the empire’s dissolution is revealing. The Germans were predominantly from what would become the nation of Austria. It has been a successful state by any measure, excepting the period when it was sucked up into the vortex of Nazism. 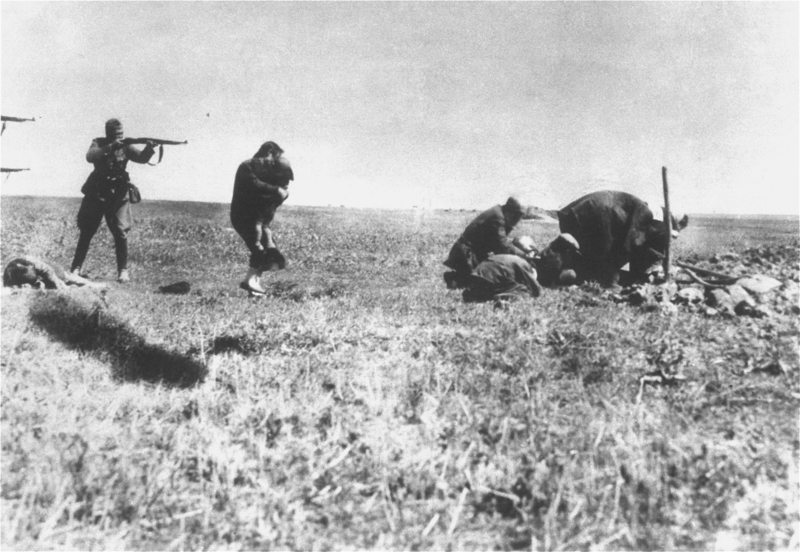 Other groups of Germans were scattered in several areas further east. Following the Second World War, luck, fate or a combination of both led them back to Germany via expulsion. The Magyars became a nation, now that they were no longer allowed to be the Kingdom of Hungary. For those Hungarians who still long to right the injustice of the Kingdom’s dismembering by the postwar Treaty of Trianon, they need to keep in mind that in the kingdom, Magyars were barely half the populace. In Hungary today they make up over 90% of the population. The war tore apart the Kingdom, but gave them a nation they can always call their own. The Czechs united with the Slovaks, creating a state which only lasted until the next war. It rose again after the war, but was peacefully sundered from within. 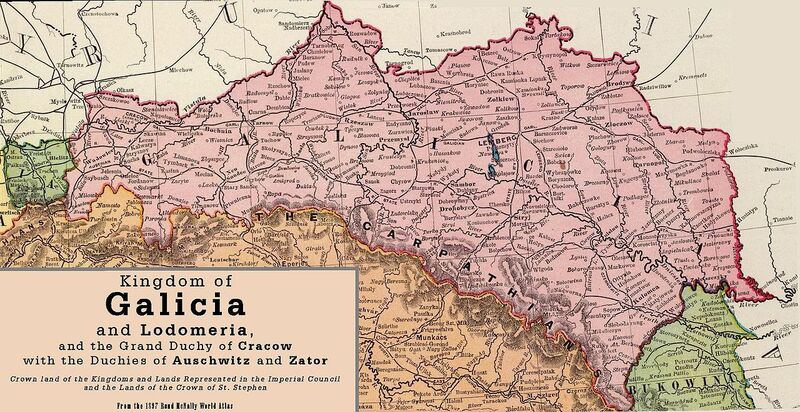 Less than five years after the iron curtain ceased to exist so did Czechoslovakia. 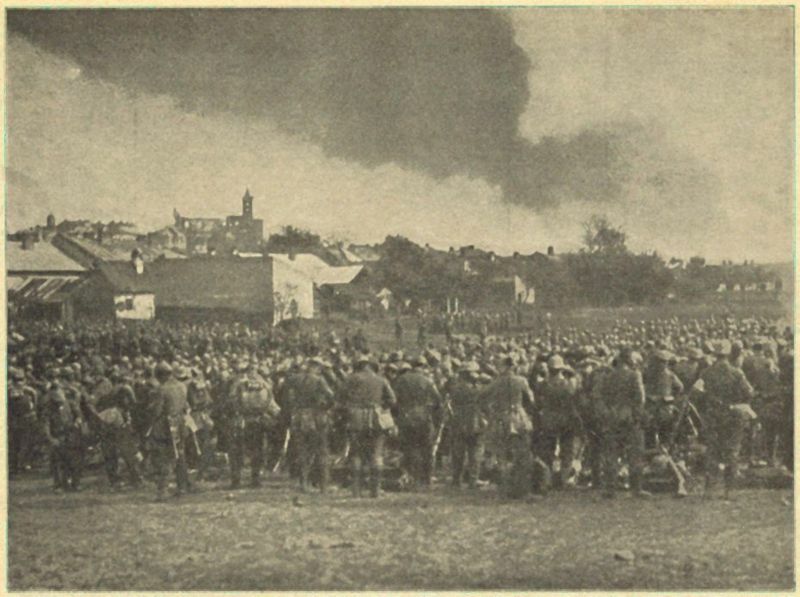 The Serbo-Croats started a South Slav state of their own, which descended into warring statelets due to the Second World War. Afterwards it was put back together again, but fell apart once and for all time following the end of communism. Freedom had a strange and unsettling effect on became known as the former Yugoslavia. 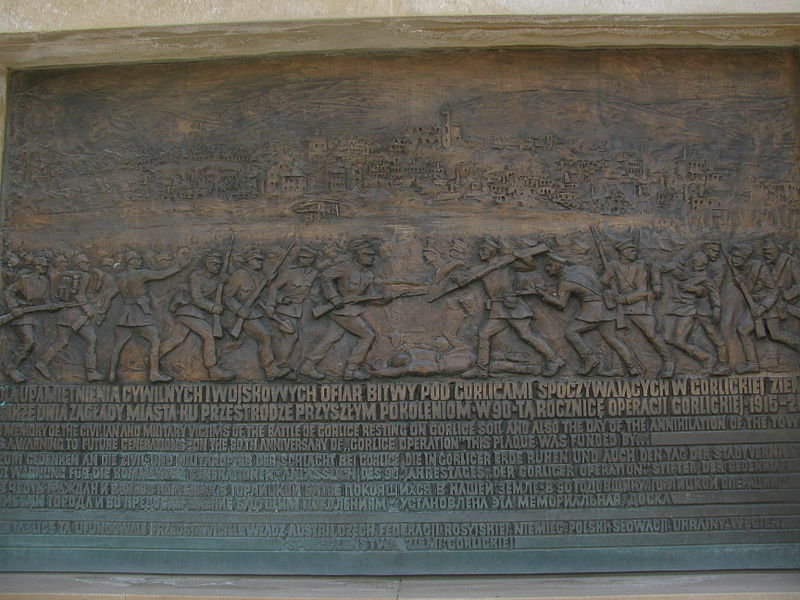 The Poles finally got their nation back following the Great War, only to have it blown into near oblivion by the Nazis. Somehow it survived. Today it represents a successful, if precarious example of a successful post-communist state. Then there was the Ruthenes, a people who have become the heart of Ukrainian nationalism in the western Ukraine today. Turning towards the west and then forced east, they are in a constant state of becoming. The story is much the same today as it was during the final decades of the Austro-Hungarian Empire. Galicia playing its stereotypical role as impoverished backwater has been Europeanized with some success. The Romanians already had their nation, but to them it was never complete without Transylvania. They have pretty much had it that way – with one notable Hungarian forced exception – since the Great War. They have Transylvania, but will they ever have prosperity? And then there were the Tyrol Italians, caught between the Germanic and Latin worlds. They say you can’t have your cake and eat it too, but freed from the shackles of empire these Italians were gluttons who managed to escape the punishing legacy of a post imperial world. In a nutshell, this is the history of the Austro-Hungarian Empire’s constituent parts. What had been all for one prior to the Great War, became every ethnicity for itself at the end of the war. It was self-interest over collective interest. This was the ultimate betrayal of Austria-Hungary and led directly to its ruin. The results were or still are today: Austria, Hungary, Czechoslovakia, the Czech Republic, Slovakia, Yugoslavia, Serbia, Croatia, Slovenia, Bosnia-Herzegovina, Poland, Greater Romania, the Soviet Union, Ukraine and Greater Italy. The loosely unified yet fatally flawed empire is today twelve disparate nations. A whole new world has come into being, born from a vanished one.